At Carlow College, St Patrick’s, we strive to ensure that your college experience is a positive one in which you can achieve your academic best. The transition to college life is a big one – and part of it is adjusting to the challenges and workload that are part of being a Carlow College student. At Carlow College, St. Patrick’s you are never alone. The Academic Resource Office is part of a wider team which includes lecturers, Academic Advisors and learner support services whose aim is to support and guide you in achieving your college goals. 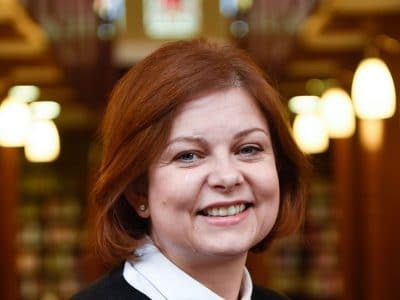 The Head of Student Services & Learner Resources, Lisa Fortune is a member of academic staff with overall responsibility for the management, coordination and delivery of academic learning supports and disability services provided to the student body. The services provided by the Academic Resource Office are open to all registered Carlow College, St. Patrick’s students. If you have any questions or need further advice on the support options available please contact Lisa in the Academic Resource Office (Second Floor, Middle House).